Mission Statement: We provide enriching opportunities to develop your child’s gifts and abilities in a secure, loving, God-centered environment. We encourage your child’s social, emotional, spiritual and intellectual development and nurture each child to their individual best. Tomorrow’s HOPE Preschool believes that children learn through play and supports the idea that the early formative years are crucial to optimum development. We believe that meaningful learning involves active, firsthand experiences and participation. Therefore we provide for each child an educational experience designed to help him/her to grow intellectually, socially, emotionally, spiritually and physically. We maintain a program that is child centered and experience based. We believe that play is a young children’s work and natural way of learning. Above all, we believe that young children need to experience that they are loved, valued and enjoyed. Tomorrow’s HOPE Preschool is operated under the supervision of a Director and staffed with a teacher and assistant in each class. The Director and Head Teacher are both certified in early childhood development and/or elementary education, many of our staff both teachers and aides have advanced degrees in education. All classroom teachers have experience teaching preschool. Continuing education requirements are a priority for all staff members. Staff members acknowledge that their participation in the life of a child is a privilege and as dedicated teachers and loving caring Christians, we guard this privilege with great care. Our preschool uses Big Day for PreK by Houghton Mifflin Harcourt. This comprehensive preschool curriculum embraces children’s natural curiosity and builds the foundation for success in school and life. It is designed to ensure that children acquire new knowledge, skills, and understanding each day through hands-on experience, purposeful play, and teacher-led instruction. 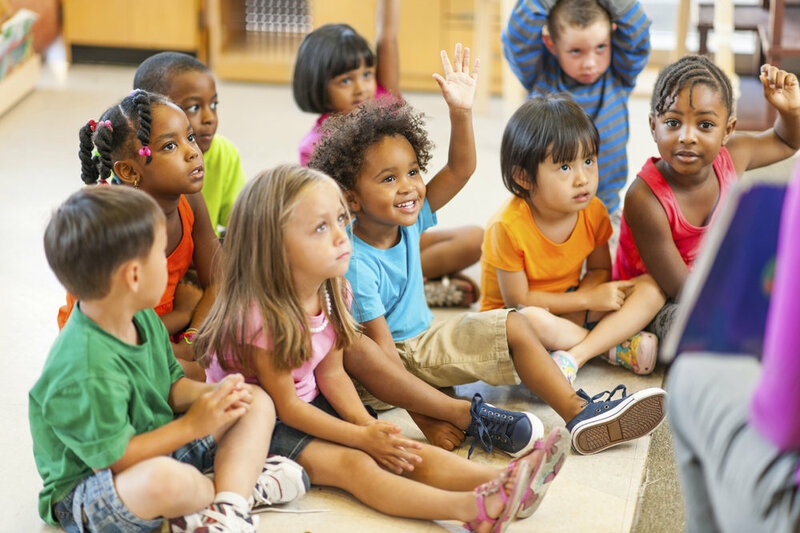 Children will learn the skills to lay the foundation for literacy, math, writing, science, fine and gross motor skills, and social-emotional development. Handwriting Without Tears is used in our four-year-old program to instruct children on proper letter formation. Woven throughout our curriculum is a faith-based component introducing children to Bible stories, prayer and scripture. Additionally, children will attend Chapel each week where they will learn biblical truths integrated with music and real-life application. Tomorrow’s HOPE Kindergarten is an extended day running daily from 9am to 2:45pm. Children are taught reading using a balanced literacy approach. The literacy block includes Reader’s Workshop, Writer’s Workshop, Guided Reading, and Word Study. Handwriting is taught using Handwriting Without Tears. For math we follow Pearson Realize, the mathematics curriculum used by Voorhees Township Public Schools. Kindergarteners also have time to explore science and social studies topics throughout the year. Additionally, they have monthly physical education, art and music classes all led by certified teachers in their fields.